Thank you Lonny Magazine for this invigorating home designed by Alessandra Branca- it is stunning. 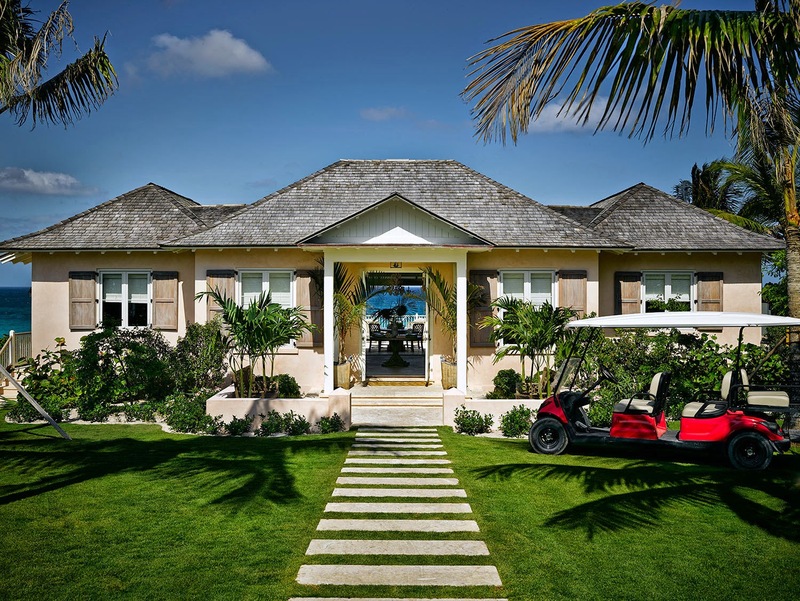 Located on Harbour Island, it is a short 10 minute boat ride from my favourite island, Eleuthera, and another another 25 minute small plane ride from Nassau. Worth, every, step. How else can you get to something that makes you feel like your the only person in the world? And a gorgeous world at that. 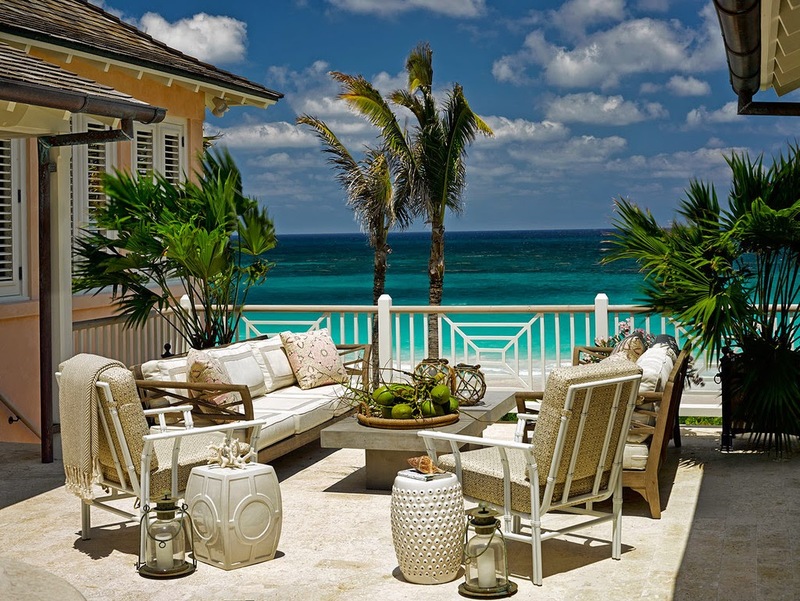 The Bahamas holds a special place in our heart and where we hope to eventually live part-time. I started out with the best. Because after all, this is what makes the Bahamas so special. It's incredible water (and pink sand). I couldn't even imagine being on this island and sleeping in this bed. 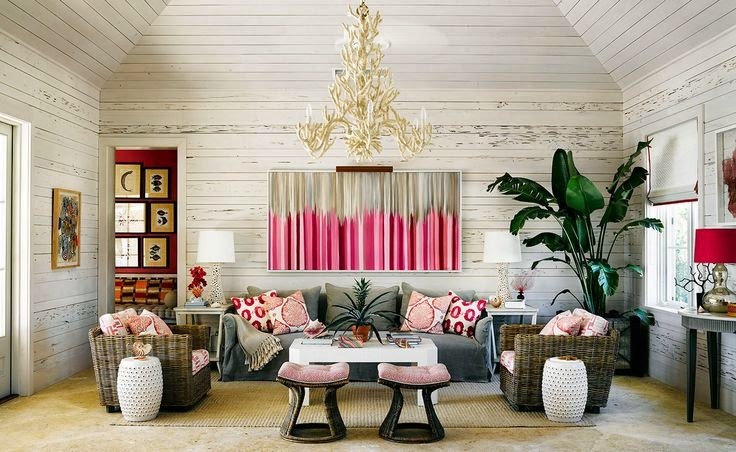 The home was designed by Italian born designer Alessandra Branca for a Texan couple who fell in love with the designers' own home (also in the Bahamas). 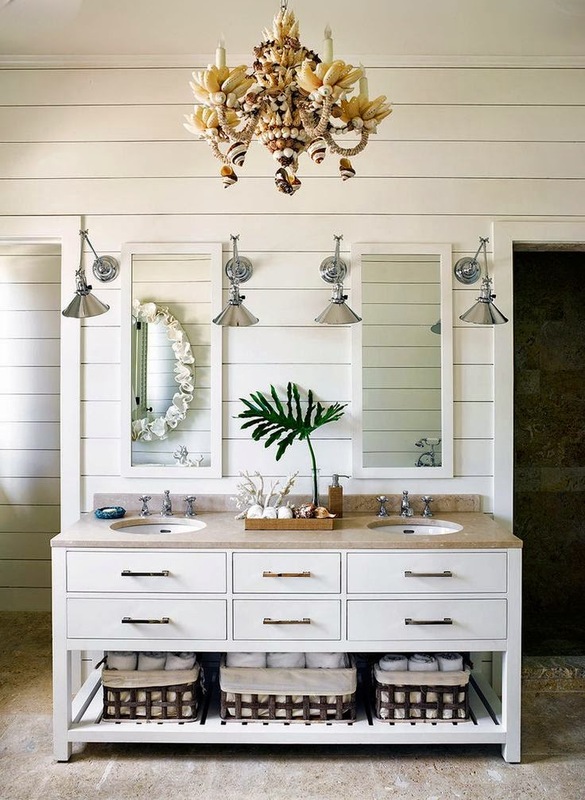 Bathroom vanity from Restoration Hardware. The open shelving keeps things casual, as does the 2 wicker counter stools. 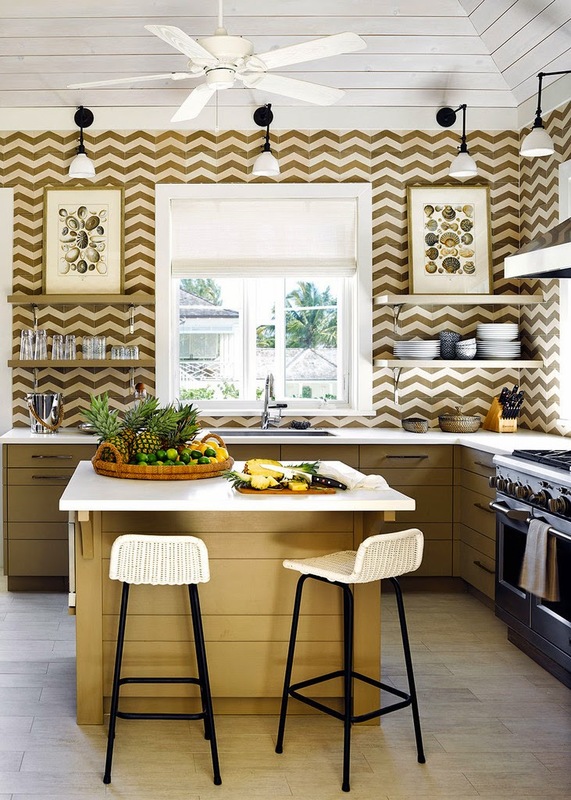 Cement tiles were applied in the kitchen to keep things cool. The distressed wood panels are my favourite element here! It gives history and charm to the home. 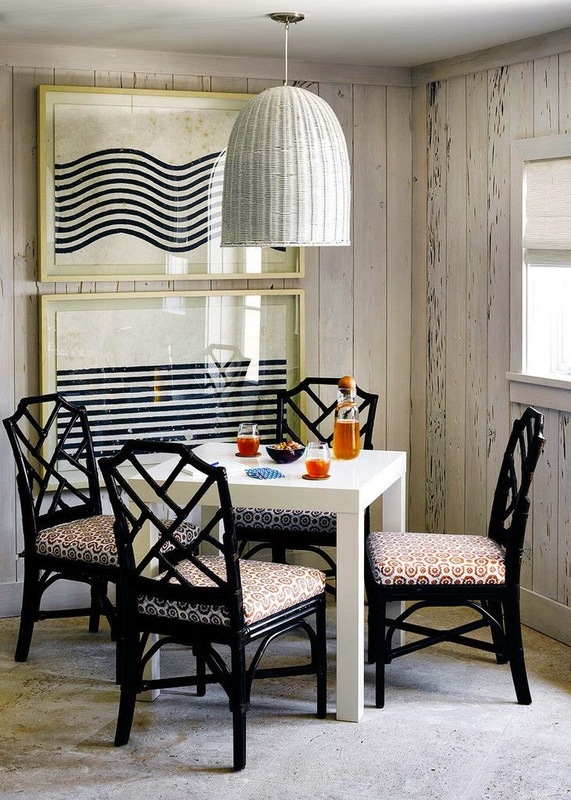 Those frames play off the modern chippendale style chairs beautifully. A simple white table keeps it unfussy. Amazing, it looks like an oversized Lacke Ikea table. The living space has ample seating and what appears to be three designated living zones. This is a great way to dissect your own living space, by "zones". Any home can feel larger when you create thoughtful little spaces throughout a room. 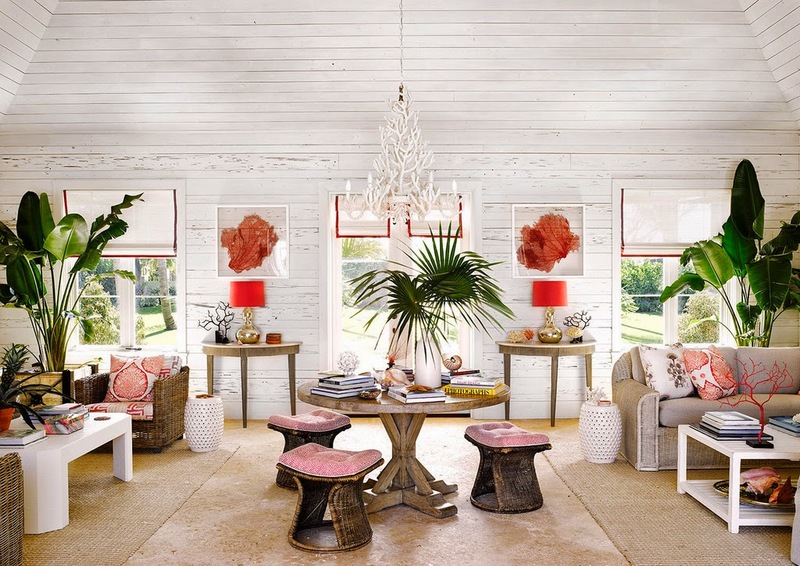 To shop these items (purchased in the US) or to read more about this home and see more photos click here via Lonny Magazine!